Pic While the rest of us are taking down the Christmas decorations, the astronauts on the International Space Station are still waiting for their presents – and Elon Musk's SpaceX rocketeers plan to fire them into orbit on Tuesday, weather permitting. This resupply mission will try to haul up some of the cargo that should have been delivered by an Orbital Sciences rocket in October: that earlier attempt smashed into NASA's Wallops Flight Facility in Virginia, partially destroying the site and completely obliterating everything onboard. The aging Russian engines in Orbital Science's Antares rocket were blamed for the mission's failure. While the space station has enough supplies to last until March, it's now the turn of SpaceX to attempt to deliver goods and equipment to the orbiting science lab – and the successful launch of the company's Falcon rocket would be a feather in Musk's cap. Atop the Falcon is the Dragon capsule: its 5,108lb (2,317kg) payload [PDF] is mostly spares for the ISS, including life support and electrical systems for keeping the station's solar cells operating at peak efficiency. There's also 35lb (16kg) of computer and photography equipment, but for the astronauts one payload will be more special. While the ISS shone like a star at Christmas, the astronauts' presents from loved ones on Earth were scattered over sections of the Virginia coastline, so new gifts are going up as what NASA calls "comfort packages". They will be part of the 1,080lbs (490kg) of food and supplies going into orbit. Lasers, worms, and braaaains – oh my! The primary mission of the ISS is science, and there are some very promising experiments going aloft, some of which have had to be rebuilt in the past three months following the Wallops whoopsie. The largest payload is the Cloud-Aerosol Transport System (CATS) from the Japanese space agency, a refrigerator-sized unit that will be bolted onto the side of the ISS. 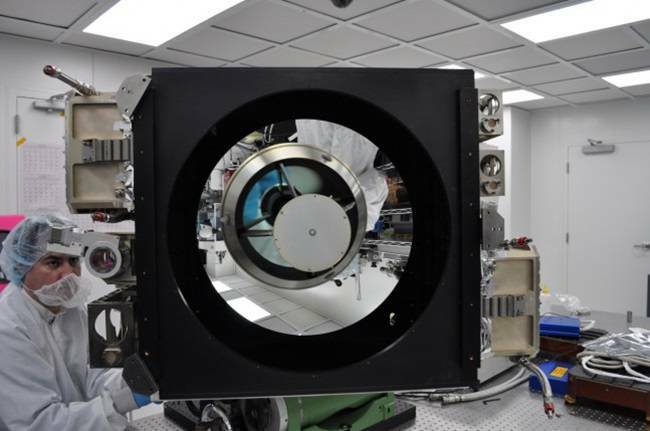 It will peer down into our atmosphere using LiDAR and infrared sensors to detect particulates, along with a laser firing 5,000 pulses per second at Earth that's capable of counting individual photons. A few of biology experiments will also be going up, although the experimentees may not like their trip much. A consignment of flatworms will be onboard the Dragon, and ISS's scientists will test how the creatures regenerate their tissue when injured in orbit, while a canister of fruit flies will also make the trip to see if their immune systems are weakened. On a more advanced level, the NanoRacks-SABOL experiment, a four-inch cube containing material that boffins hope will form clumpy protein fibers, like the kind that that cause human brain diseases such as Alzheimer's and Huntington's. The fibers will be grown in space, eventually returned to Earth, and compared to similar fiber clumps formed on the planet. "Everybody wants a cure, but without knowing the actual cause of the disease, you're basically shooting in the dark," said a consultant on the project Dan Woodard, of NASA's Kennedy Space Center. "We don't understand the true mechanism of the disease. If we're lucky, then we'll find out whether proteins will aggregate in space. Only in weightlessness can you produce an environment free of convection so you can see whether they form on their own. We expect to learn incrementally from this." The October blast also wiped out 18 science experiments built by students, who won a NASA competition to get their projects – ranging from crystal growth trials to the spoilage rates of milk – into orbit. The space agency has been helping the youngsters get replacement equipment built in time for the launch following the Antares explosion. "I try to teach students, when I speak to them, not to be afraid of failure. An elementary school student once told me, when I asked for a definition of success, that ‘success is taking failure and turning it inside out.’ It is important that we rebound, learn from these events and try again – and that's a great lesson for students," said NASA Administrator Charles Bolden. "I am delighted that most of the students will get to see their investigations re-flown on tomorrow’s SpaceX mission. Perseverance is a critical skill in science and the space business."